The catastrophic bridge collapse in Italy this week has prompted a public outcry over the country’s crumbling infrastructure and how it is putting lives at risk. But the question the public in Italy and across Europe should be asking is: why are their governments spending extra tens of billions of dollars on NATO militarism, while neglecting vital civilian infrastructure? When the iconic Morandi motorway viaduct came crashing down this week over the city of Genoa – with a death toll so far of 39 people – the consensus among Italian news media and members of the public is that the bridge was a disaster waiting to happen. Lack of due maintenance has been blamed for why the bridge collapsed. Weather conditions at the time were reportedly torrential rain storms and lightning. But those conditions can hardly explain why a whole motorway viaduct wobbled and crashed. The Morandi Bridge was built 51 years ago in 1967. Two years ago, an engineering professor from Genoa University warned that the viaduct needed to be totally replaced as its structure had seriously deteriorated. 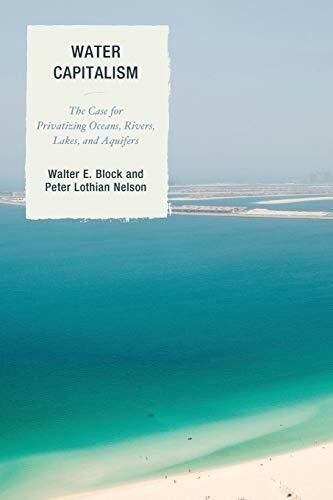 There seems little doubt that the disaster could have been avoided if proper action had been taken by the authorities rather than carrying out piecemeal repair jobs over the years. Italian media reports say the latest is the fifth bridge collapse in the country over the past five years, as cited by the BBC. Now the Italian government is calling for a nationwide survey of roads, tunnels, bridges and viaducts to assess public safety amid fears that other infrastructure facilities are prone to deadly failure. What should be a matter of urgent public demand is why Italy is increasing its national spending on military upgrades and procurements instead of civilian amenities. As with all European members of the NATO alliance, Italy is being pressured by the United States to ramp up its military expenditure. US President Donald Trump has made the NATO budget a priority, haranguing European states to increase their military spending to a level of 2 per cent of Gross Domestic Product (GDP). Trump has even since doubled that figure to 4 per cent. Washington’s demand on European allies predates Trump. At a NATO summit in 2015, when Barack Obama was president, all members of the military alliance then acceded to US pressure for greater allocation of budgets to hit the 2 per cent target. The alleged threat of Russian aggression has been cited over and over as the main reason for boosting NATO. Figures show that Italy, as with other European countries, has sharply increased its annual military spending every year since the 2015 summit. The upward trend reverses a decade-long decline. Currently, Italy spends about $28 billion annually on military. That equates to only about 1.15 per cent of GDP, way below the US-demanded target of 2 per cent of GDP. But the disturbing thing is that Italy’s defense minister Elisabetta Trenta reportedly gave assurances to Trump’s national security advisor John Bolton that her government was committed to hitting its NATO target in the coming years. On current figures that translates roughly into a doubling of Italy’s annual military budget. Meanwhile, the Italian public have had to endure years of economic austerity from cutbacks in social spending and civilian infrastructure. Rome’s new coalition government comprising the League and Five Star Movement has called for a reversal in austerity policies and has vowed to increase public investment. Its leaders, like deputy prime minister Matteo Salvini, have also at times expressed a lukewarm view of NATO. After this week’s bridge disaster, the populist coalition government has renewed its calls for more investment in public services. Nevertheless, why then is Italy’s defense minister giving assurances that the country will adhere to Washington’s demands for increasing its NATO budget? Minister Trenta, who belongs to the Five Star Movement, says her government remains committed to buying up to 90 units of the US new-generation F35 fighter jet. Aggregate figures show that Italy spent nearly $300 billion over the past decade on military. The previous decade’s outlay was even higher in constant dollar terms, before the financial crash in 2008. And yet the Italian government – despite its populist appeal – is planning to allocate even more resources to military over the coming years in order to meet Washington’s ultimatum for the NATO 2 per cent of GDP target. A target figure that seems wholly arbitrary and abhorrent in the light of so many urgent social needs and neglected public infrastructure. If Italian motorway bridges are collapsing now, the future for public safety looks even bleaker when more of the country’s economy is diverted to satisfy US-led NATO demands. 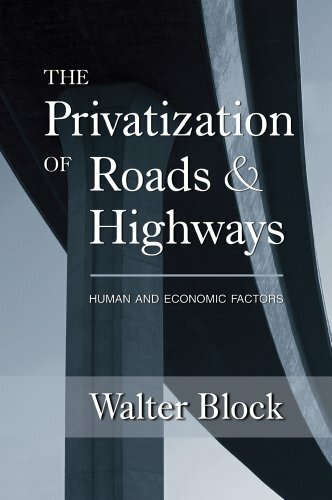 The Privatization of R... Walter Block Best Price: $2.91 Buy New $13.87 (as of 10:10 EDT - Details) Moreover, this dilemma is not confined to Italy. All European members of NATO are being railroaded by Washington to significantly expand their military budgets. President Trump has lambasted European states as “free loaders” cadging off “American protection”. Trump has singled out Germany for harassment to boost its military budget. After all the hectoring, the Europeans seem to be responding too. At the annual NATO summit held last month in Brussels, the Norwegian secretary-general Jens Stoltenberg boasted that non-US members had increased their national military budgets by an aggregate $40 billion in one year alone. A cruel irony is that last year NATO planners complained that Europe’s infrastructure of roads, tunnels and bridges needed significant upgrades to facilitate mass-transport of military forces in case of a war with Russia. The implication was that European governments would have to increase their national spending on civilian transport networks specifically to facilitate NATO military requirements. That is tantamount to a parasite craving for more blood from its host. Already European infrastructure is in disrepair largely because of economic austerity enforced by disproportionate spending on NATO militarism. At a time when public need for social investment is acute, European governments are obeying orders from Washington to plough more financial resources into subsidizing the American military-industrial complex. All this madcap, irrational expenditure is supposedly to keep European citizens safe from Russian threats. All too evidently, however, the biggest threat to European citizens is the way Washington and its NATO racket is bleeding Europe of financial resources – resources which instead should be spent on building safe roads, bridges and other infrastructure.